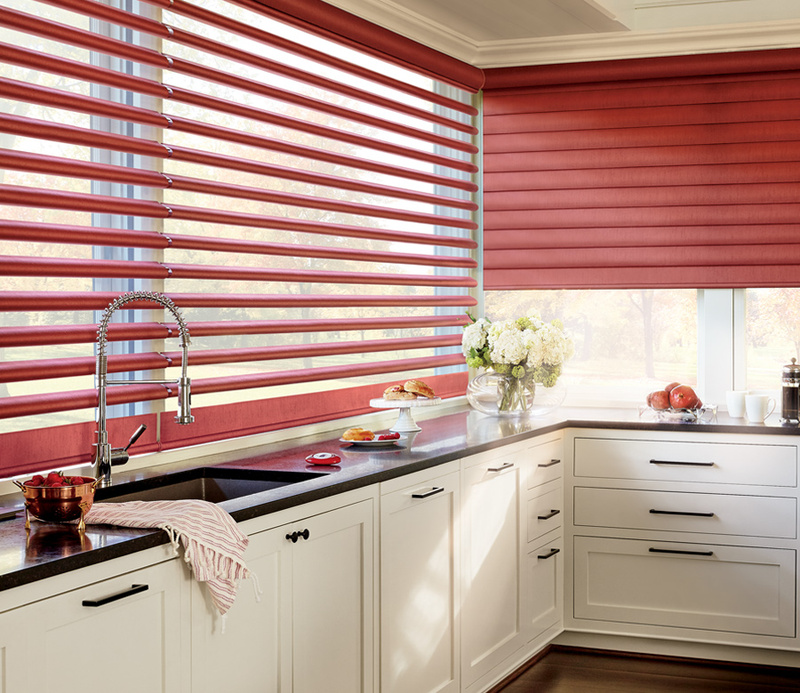 Combining sheer shades and stunning fabrics, Pirouette shades offer dynamic style and incredible function. 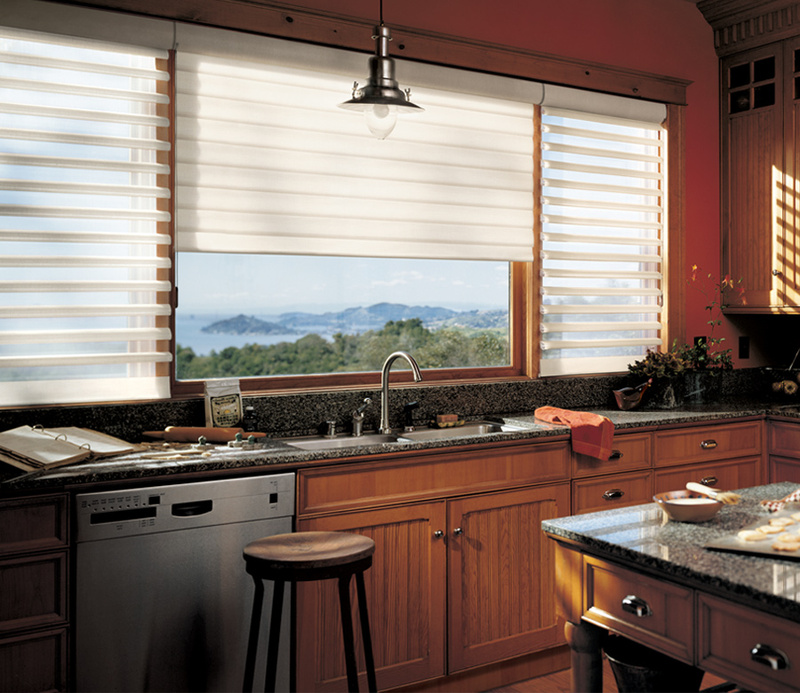 When the fabric vanes fold, they reveal the sheer, light-filtered view. 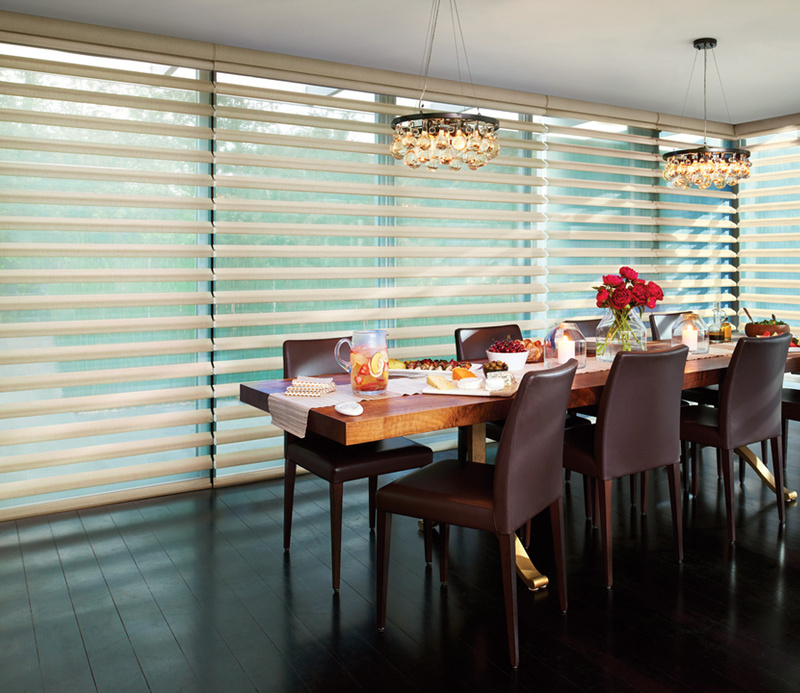 Flattening as they close, Pirouette shades provide complete privacy–capable of room darkening. 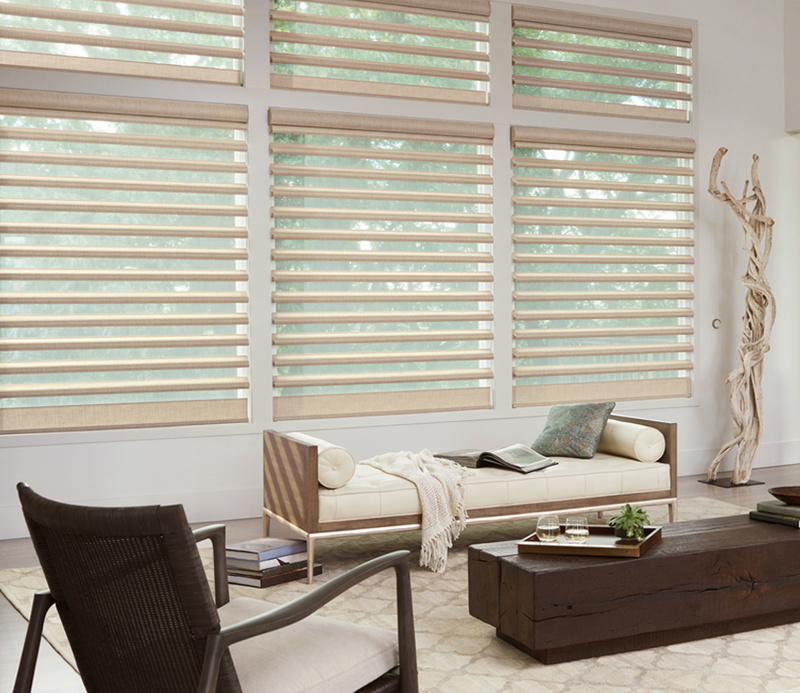 A wonderful option for large windows or doors, these window shades are a gorgeous backdrop, enhancing the style of your home while transforming the atmosphere.